Fewer donors were acquired for nonprofits last year, as reported in the 2018 year-end report by the Fundraising Effectiveness Project. The total number of donors was also down. With attrition on the rise and the overall donor universe shrinking, nonprofits are pressed to find effective ways to engage and acquire new donors to help sustain revenue. If your organization hasn’t yet diversified its acquisition budget across multiple channels, there will never be a better time than now. Allocating an appropriate portion of your budget to online marketing and fundraising will reap tremendous benefits as today’s donors embrace a multichannel lifestyle. Successfully acquiring donors online follows the same principles as marketing in an offline world, but with the added benefits of ever-improving digital technology and tools. The first step is to know your audience. When you have a better understanding of your prospects and what is important to them, you can connect to them in a meaningful and relevant way. They probably look a lot like your current donors, so take your cues from them. Many organizations have found it helpful to create donor profiles or personas to help them visualize typical supporters by looking at demographic information, goals, passions, and their preferred communication style. · Where are they located? · What’s their average age? · What do they do for work? · What occupies their free time? · What do they care about? · What drives them and motivates them? Analytics tools built into your social media or ad platforms can provide a wealth of information on those who engage with your organization and others like yours. Online surveys can also reveal some of the more qualitative data like values and motivators. Part of this step also includes audience segmentation. By categorizing donors based on similar characteristics, you will then be able to build out personalized content strategies for more effective engagement. The world has decidedly shifted from outbound to inbound marketing. As marketers, we can no longer just create an ad with some text about how great our organization is, and expect people to respond with a gift. We shouldn’t expect that when we create an event, people will share it virally. And really, it’s just a fraction of people who open their mail or do more than preview an email from their cell phone. People have become adept at blocking out what they consider “noise.” Today, marketing is about inbound dialogue and engagement. Maintaining a dynamic, relevant online persona and presence is critically important. Once you know who you you’re looking for and have established your organization’s online presence, it’s time to connect with your prospects. With the help of automation tools, marketers are able to identify and serve ads to the best targets online. We can virtually meet our audience where they are. But there’s another way to take that idea: We want to act upon the knowledge of “where” our prospects are in their relationship with us, where they are in the “sales funnel.” The most effective engagement – and ultimately the most valuable relationship – is one built on shared values and in which relevant and meaningful dialogue happens. 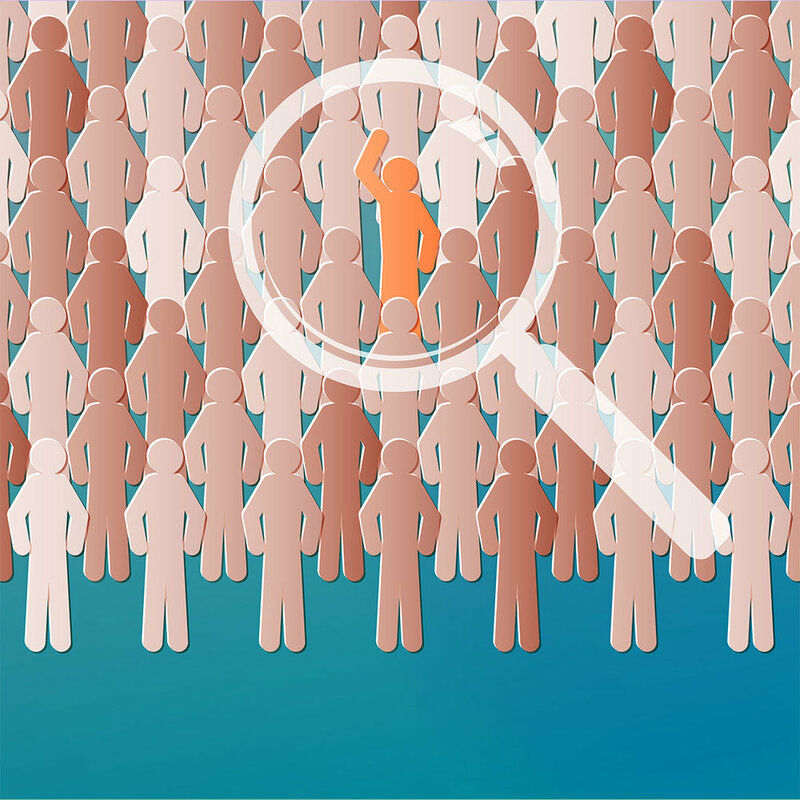 Is your target audience just starting to become aware of your organization? Get your name out there. In the couple seconds you have their attention, engage them with images and headlines that entice them to want more. Is there another segment of prospects that have shown an interest in learning more? Serve up educational content about the cause they’re interested in. Show them the impact you’re making and build credibility as an organization. Do you have yet a third group of potential donors that have an expressed desire to engage? Present them with a compelling case for support and a clear call to action. Less is likely more at this point in the process. For example, a landing page for these prospects should be concise and simple, unlike a landing page for prospects at the top of the funnel who may need longer, more detailed content to reach a decision point. There’s no such thing as one-size-fits-all content anymore. If you try to talk to everyone, you actually engage with no one. You have to take your prospects on a “personalized” journey that leads them from awareness to action. Fortunately, marketing automation tools can make can make this much easier than it may sound. Lastly, but arguably most importantly, a strong donation page, alongside a good fundraising system, is the single most important thing you need to invest in if you want to acquire donors online. Without an effective way to convert your prospect, you’ll be driving traffic to your website to no avail. Make sure the experience a prospect has on your website is user-friendly and smooth. Use standard placement of a prominent donation button. A donor should be able to find your donation link within a couple of seconds of your donation page loading. Test location, color and verbiage to ensure maximum click-through to your donation page. Design your donation page to be consistent with the rest of the website, even if it’s hosted by a third-party processing company. And make sure the donation page is mobile-friendly/responsive so that it re-configures according to the device being used, allowing for optimal viewing. Improving your donation page is probably the single biggest bang-for-buck improvement you can make to your website and the most effective way to boost your fundraising efforts. If you’re ready to take the next step in finding new donors online, let us know how we can help by sending me an email at charity.abate@meyerpartners.com.